According to Tom Pelissero of USA Today Sports, there were no votes or final decisions on two proposed stadium projects presented at a special NFL meeting on Los Angeles in Schaumburg Illinois yesterday. 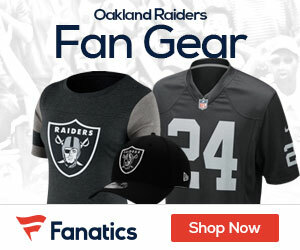 But if anything seemed clear after the meetings wrapped Tuesday afternoon, it was the dire portrait of the Raiders’ future in Oakland. St. Louis had its stadium task force present to an NFL committee in May as it tries to keep the Rams. A group from San Diego presented its plan to keep the Chargers on Monday. 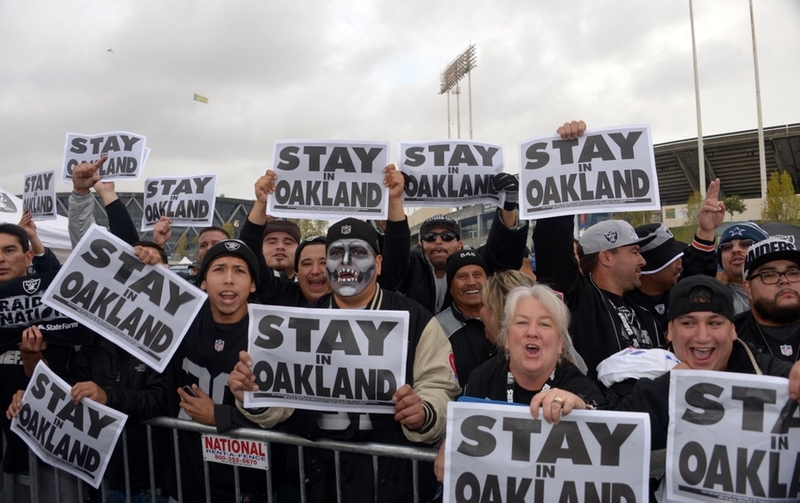 Only Oakland hasn’t presented anything, and there’s no sense that will change anytime soon. Meanwhile, the Raiders – who are free to leave their lease after the season – are pushing a joint stadium project in Carson, Calif., with the Chargers. The Rams are pitching a separate stadium project in Inglewood. Both sides presented to the full membership for the first time Tuesday. The issue, according to Grubman, is that any proposal presented must be specific, attractive to a team and actionable. Based on that standard, Grubman said, there is no proposal for the Raiders to consider. A plan submitted to Oakland and Alameda County leaders in June by San Diego-based businessman Floyd Kephart included a provision that would require the Raiders sell 20% of the club to Kephart’s development company for $200 million, the Mercury News reported. Grubman said he requested the meeting that took place with city and county officials last month. “What I would say is we had a fair and open discussion, but it was not specific around a proposal,” Grubman said. “I was disappointed – not for the league. I’m disappointed for the fans, because there’s no proposal on the table that can give us something to go to work on.” The expectation is the NFL will make a decision before Super Bowl 50 in February on placing one or two teams in L.A. for the 2016 seasons. A refundable seat deposit campaign, relocation fee analysis and temporary facilities all were part of the discussion at this meeting. 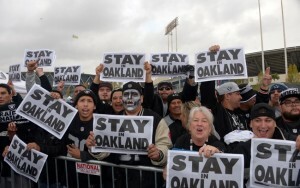 Stay tuned to RAIDERSGAB for developing stories on the future of the Raiders in Oakland..